Quality headphones are a must for anyone who thinks seriously about playing games. The precise sound of these headphones lets you record every opponent's movement, every stroke of your virtual sports car, or play your favorite music during breaks. Do you need to quickly turn off the microphone or increase / decrease the volume? Just touch the remote control on the braided headphone cable with a volume control knob and microphone switch. High-quality headphones are a must for anyone who's playing games seriously. 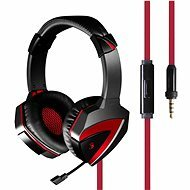 The precise sounds of these headphones will allow you to record any movement of the enemy, every beat of your virtual engine sports car or during breaks between playing, you can listen to your favourite music. Do you need to quickly turn off the microphone or increase/decrease the volume? There is a volume control on the braided headphone cable and a microphone switch. Two gold-plated 3.5mm jacks connect the headphones and microphone to the PC sound card, the connectors are gold-plated to ensure a high-quality audio. Braiding on the black and red wire reduces the risk of entanglement. 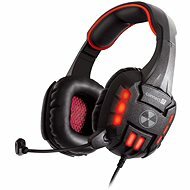 For shipping to other EU countries visit this page CONNECT IT Biohazard Headset GH2000. 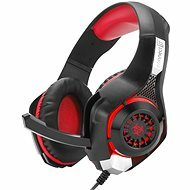 Für Versand nach Deutschland, besuchen Sie bitte CONNECT IT Biohazard Headset GH2000. Chcete doručit zboží do Česka? Prohlédněte si CONNECT IT Biohazard Headset GH2000. Chcete doručiť tovar na Slovensko? Prezrite si CONNECT IT Biohazard Headset GH2000. Für Versand nach Österreich, besuchen Sie bitte CONNECT IT Biohazard Headset GH2000. Magyarországra történő kiszállításért tekintse meg ezt a termékoldalt: CONNECT IT Biohazard Headset GH2000.